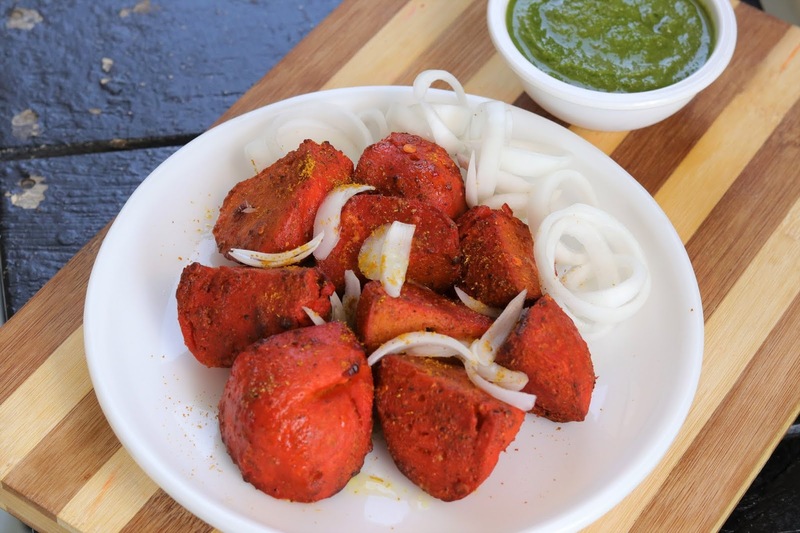 See how to make street style Soya chaap tikka recipe. We have prepared tandoori soya chaap tikka recipe in airfryer as well as on tawa. Soya chaap tandoori tikka is very famous street food. 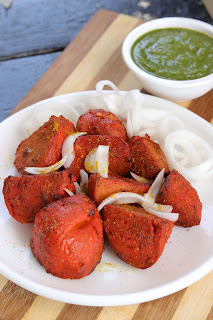 Sharing a simple and easy recipe to cook soya chaap tikka at home. 1. Marinade - Add in all ingredients in a bowl except butter. Mix well. 2. Steam soya chaap sticks or pcs and cut into small pcs. Add the soya pcs in marinade and coat well. 3. Keep aside the marinated chaap for 2-3 hours. 4. Put the marinated chaap in skewers and cook on tawa, non stick pan, grill or airfryer. In preheated airfryer, grill at 200 degrees for 5 min first. Apply butter and again grill for 5 min. 5. Transfer the soya chaap tikka in a plate. Sprinkle lemon juice, chaap masala. Serve with sliced onions and green chutney. For recipes in hindi, check out Healthy Kadai Hindi YouTube Channel.